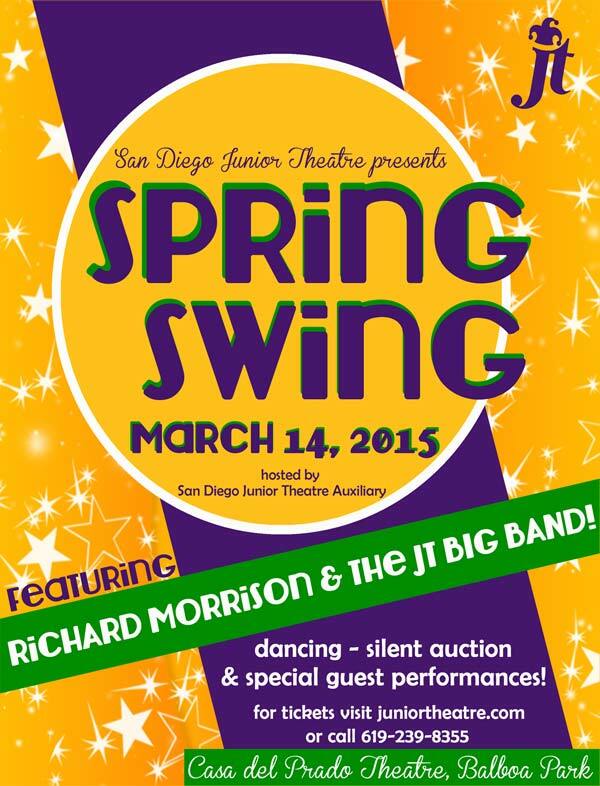 You are cordially invited back to the big band era for a one-night only event featuring Richard Morrison & the JT Big Band. Dancing is encouraged, not required! For those interested, JT teaching artist, Leasa Thernes will be teaching a complimentary swing class from 5:30-6:30pm the night of in the Casa del Prado classroom building for those who purchase tickets to the event. You will need to show your ticket for admittance to the dance class. Buy your tickets soon. Prices will increase the day of the show.